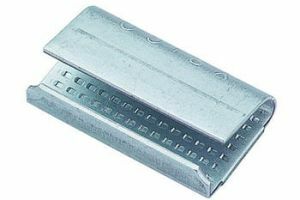 Melbourne Packaging Supplies stock a large range of PET strapping in 3 Grades, Supa, embossed for general purpose and light duty use. Machine, embossed to suit most application, tools and auto machines and Ultra smooth for heavy duty use and users needing excellent shock absorption and split resistance qualities. All our PET is made in Germany and wrapped in foil for easy loading of dispensers. 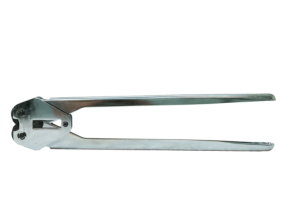 16mm gripper(Serrated) seals are designed to use with PET(Polyester) Strapping and a manual tensioner and sealer or combo tool. 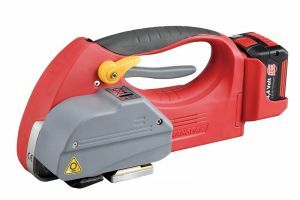 16MM Premium PET sealer (Bidirectional) USA The MUL330 is premium 16mm PET sealer to be used with PET strap and Gripper seals. 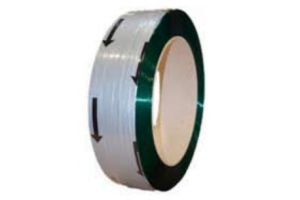 Polyester Strapping (PET) is lightweight, strong and quick and easy to apply, when compared to other OH&S strapping alternatives requiring buckles. PET strapping can be applied manually with a tensioner and sealer or automatically with pneumatic or Battery powered friction weld tools. Our new lines of Premium embossed machine PET are precision made in Germany with double screw technology, making it split free.